A sassy drink with a little bite! Mix first 3 ingredients in a glass with ice and stir. Add chili pepper and lime and enjoy! 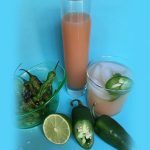 Low in calories, high in vitamin C, loaded with electrolytes, potassium and bioflavonoids, grapefruit juice is a delicious and nutritious addition to healthier cocktails. 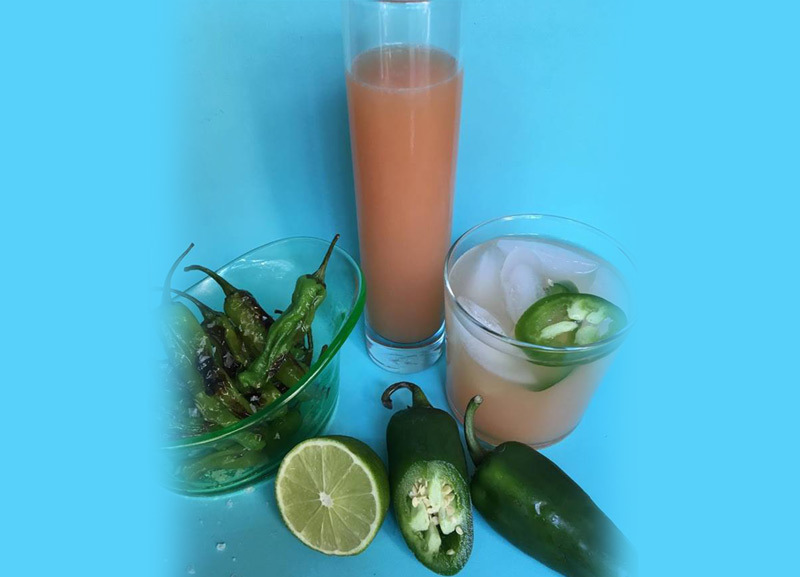 The spicy addition of a Serrano or Jalapeño slices add the health benefitting alkaloid compound, capsaicin. Capsaicin has antibacterial, anti-carcinogenic, analgesic and anti-diabetic properties. This simple cocktail is refreshing and complex, making it the perfect all season sipper.